Although Roberto Firmino hasn’t reached his remarkable performance levels of last season, in a campaign where he registered 27 goals and 17 assists, his importance to Liverpool is still immense. Firmino hasn’t been poor by any stretch, he’s just not at his free flowing best, which can be largely explained by him missing a large chunk of preseason due to his World Cup exertions with Brazil. Despite this, he’s still netted vital goals in the Reds’ wins over Paris Saint-Germain, Leicester City and Tottenham Hotspur, plus supplied two assists. A nasty eye injury he suffered against Spurs has understandably stymied his progress, but his contribution to Jurgen Klopp’s side remains remarkable, something the, at times, unheralded Brazilian has undoubtedly shown. 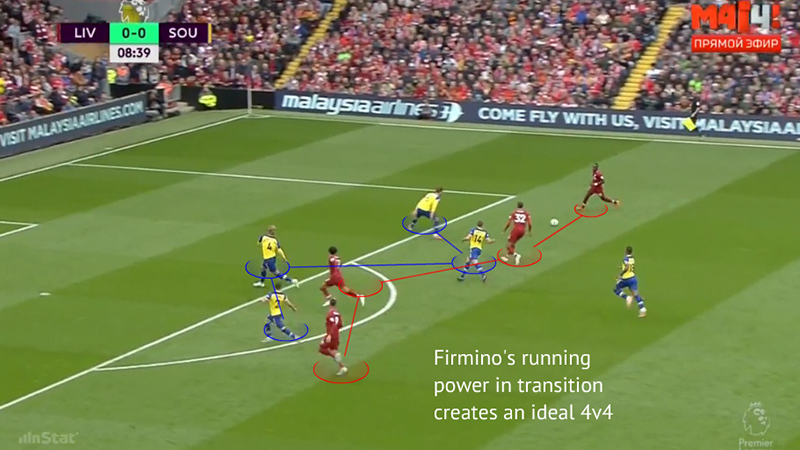 After all, in Firmino, Jurgen Klopp has the perfect striker to fulfil the forward role within his high octane framework on both sides of the ball. Leading from the front with his feverish defensive pressing and smart positional sense when dropping back into a mid block, the 27-year-old sets a formidable example for his teammates to follow. 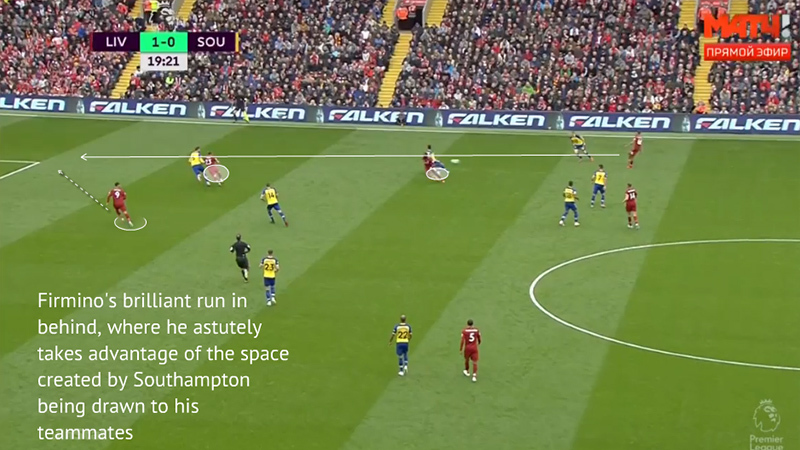 So fast to react to triggers, like when an opponent receives in an open body shape, with their back to goal, on their non preferred foot or after taking a lamentable first touch, his ball winning prowess is a real asset to Liverpool and regularly sees them win back possession in dangerous areas. Registering an incredible InStat pressing effectiveness rating of 63% (almost 30% better than Harry Kane’s), that’s enabled him to force 2.5 turnovers per game, he’s certainly one of the best in the league in this aspect. Moreover, by curving, angling and altering his pressing on the go, he excels at closing off potential passing routes upfield to complicate his target’s options and force rushed decisions. 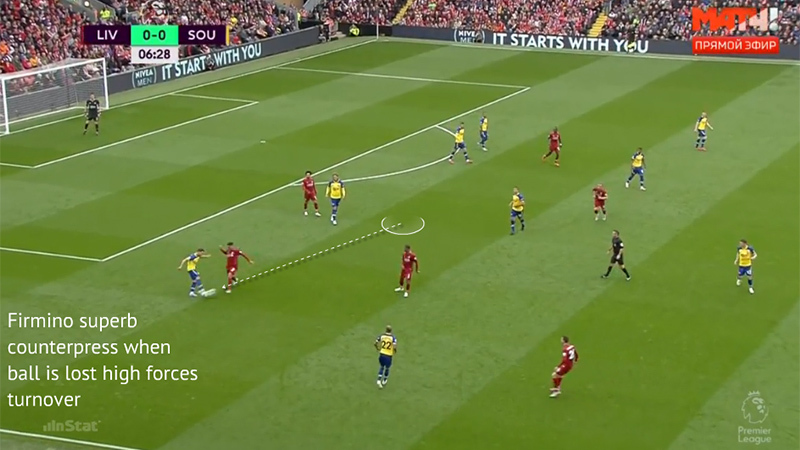 This aspect of his armoury neatly transfers into his stern counter-pressing, where he swiftly heaps pressure after Liverpool have lost possession, as they wholeheartedly attempt to regain in advanced areas to attack again from high up against typically unset defences who were preparing for their own transition. By winning 2.9 tackles PG at an 100% completion and chiming in with 1.9 interceptions PG, his ball winning proficiency is a joy to watch. Tigerish in the tackle and never one to shy away from a physical confrontation, he intimidates his foes with his forcefulness and aggression, thus seeing him impose himself fiercely, which generates desired perceived pressure to place doubt in his opponents’ minds. Moving onto his offensive output, and while he’s not been as productive in terms of goals and assists as this time last year, his overall impact has still been of a high standard. Being so versatile at operating in many different areas of the pitch, the former Hoffenheim sensation gives his team plenty of tactical flexibility in terms of how best to use him. Aside from playing in his customary centre forward station, his ability to wreak havoc out wide, drop into midfield and shift into the half spaces has heightened his team’s unpredictability and difficulty to stop. 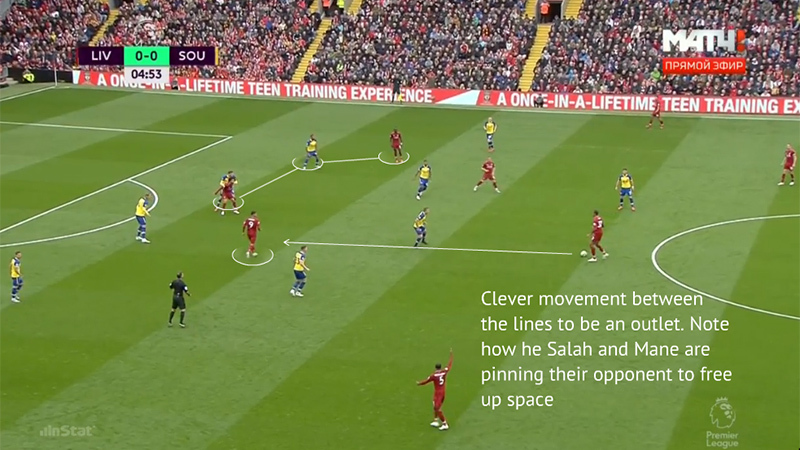 So fluid and aware of one another’s movements, Liverpool’s interchanges never allow their adversaries to settle into rhythm of how best to stop them. 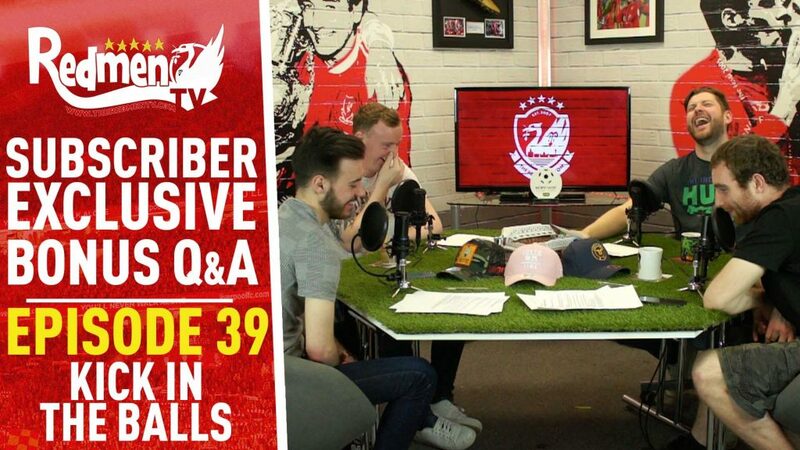 Firmino’s definitely been an integral component to their success. 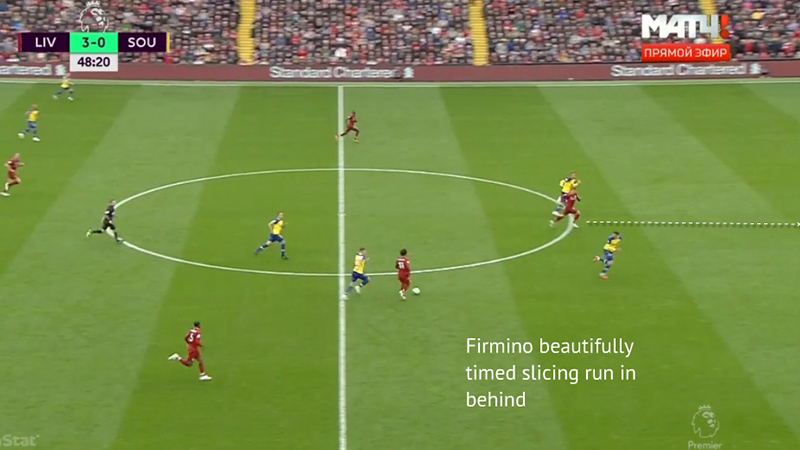 Firmino complements the afore with his innate capacity to find space for himself and generate openings for his teammates. 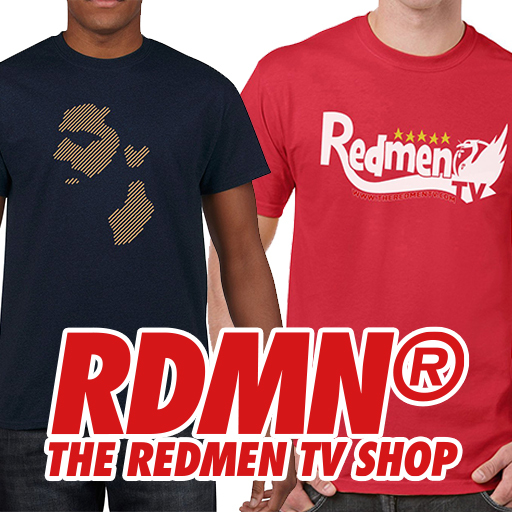 Adept at making elusive movements into vacant pockets of space between the lines or between defenders, he frequently provides a usable outlet for his colleagues while engineering favourable overloads for smoother progression upfield. 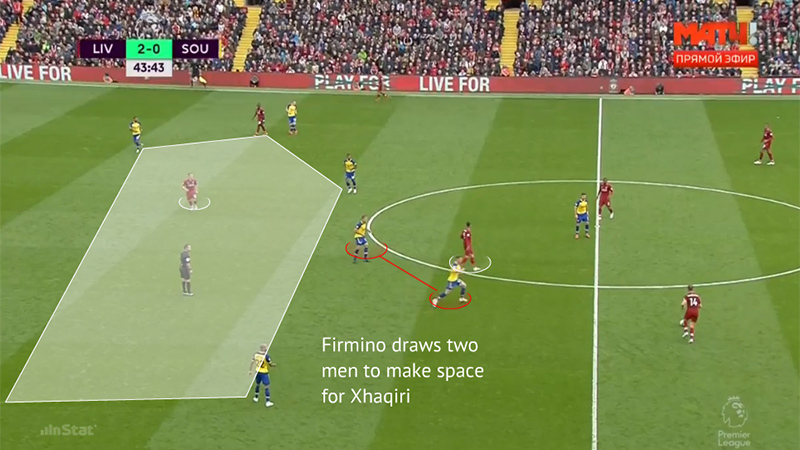 Moreover, his spatial awareness notably allows him to pin one or multiple opponents to manufacture crucial space for his fellow attackers to exploit (as evidenced in the graphic below). To cause addition menace, his instinctive, blindside runs in behind and into the box to get on the end of crosses and cutbacks only serve to amplify his value, where he checks and alters his surges cunningly to gain separation to disorient his tracker. 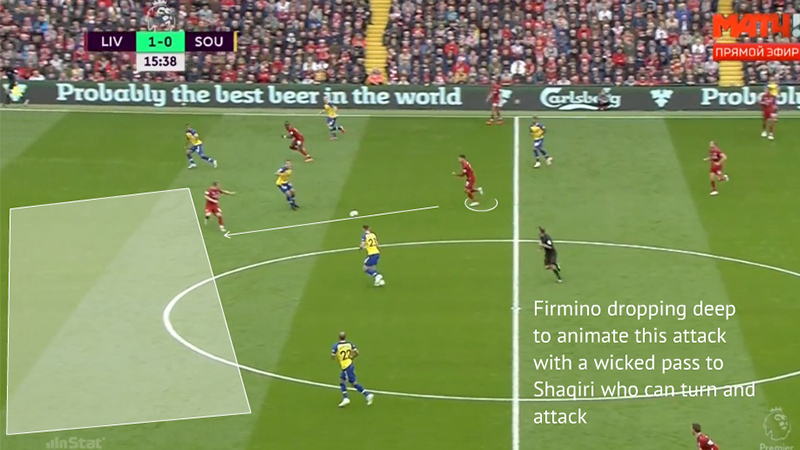 Once in possession, Firmino is equally effective, for his hold up play, strength and technique ensure he can connect, construct and animate many offensive forays. Blessed with a sharp first touch, lovely close control in close quarters and a powerful dribbler in open spaces means he’s a master at provoking pressing actions and subsequently bypassing his harriers. Indeed, his 2.1 dribbles pg demonstrate what a tricky customer he is. Factor in his incisive passing, which sees him create one clear cut chance pg and hit 2.5 key passes pg, and it’s little wonder why his coach and teammates hold him such high esteem. “He knows and appreciates absolutely this club. 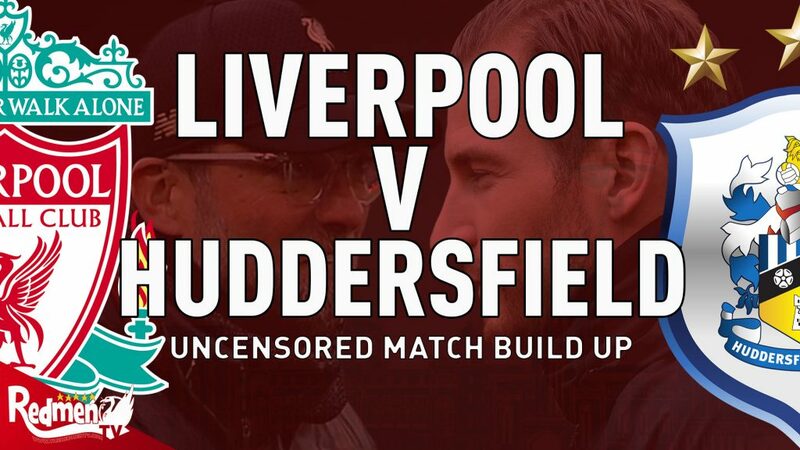 The other boys really respect him for all the work he’s doing,” Klopp asserted. 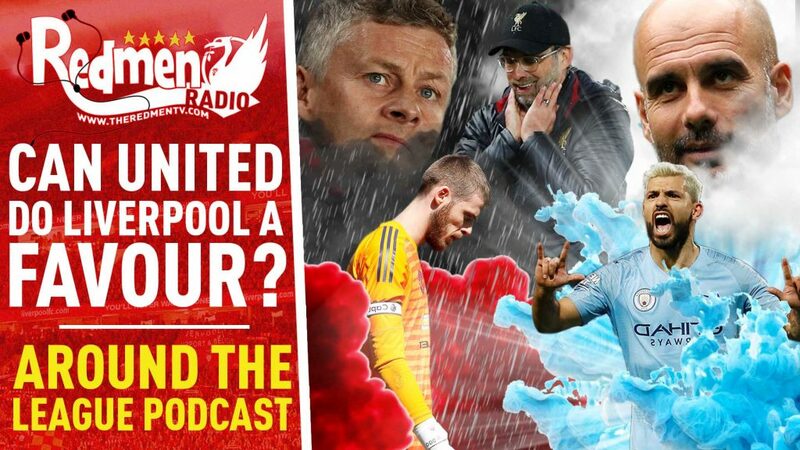 Later adding to this, Klopp commented on how unfair some of the criticism is that Firmino comes in for, saying: “People say he does not score enough. What?! He is the best player without scoring with how well he reads the game for the benefit of others. Outstanding! 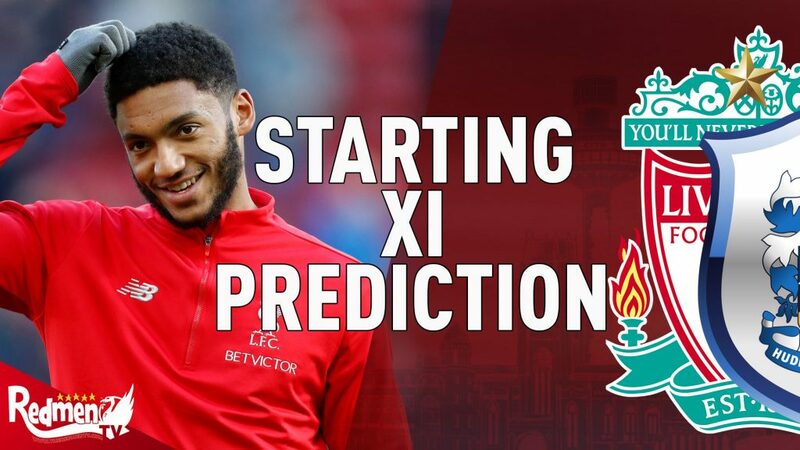 With Liverpool aspiring to achieve great things both domestically and Europe, you can guarantee Firmino, who’s always one of the first names on the teamsheet, will be absolutely instrumental towards whether they can turn their dreams into a reality. 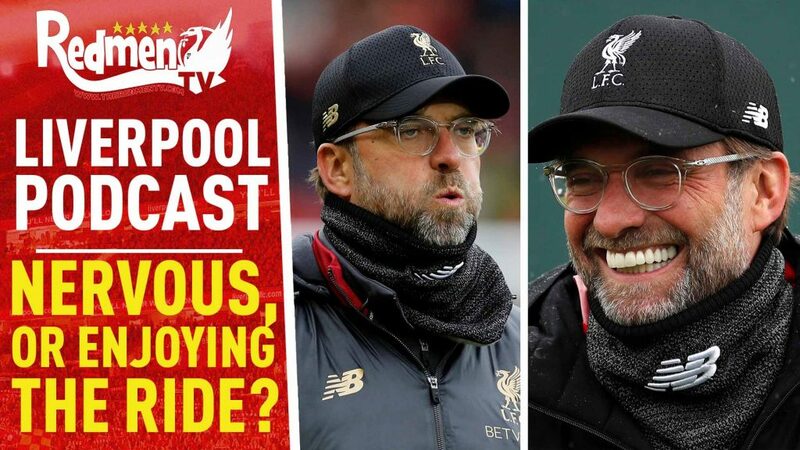 Mentally formidable, multidimensional and so vital structurally to this scintillating Reds outfit, it should be only a matter of time before he’s back to his best and propelling his team forward with typical vigour.